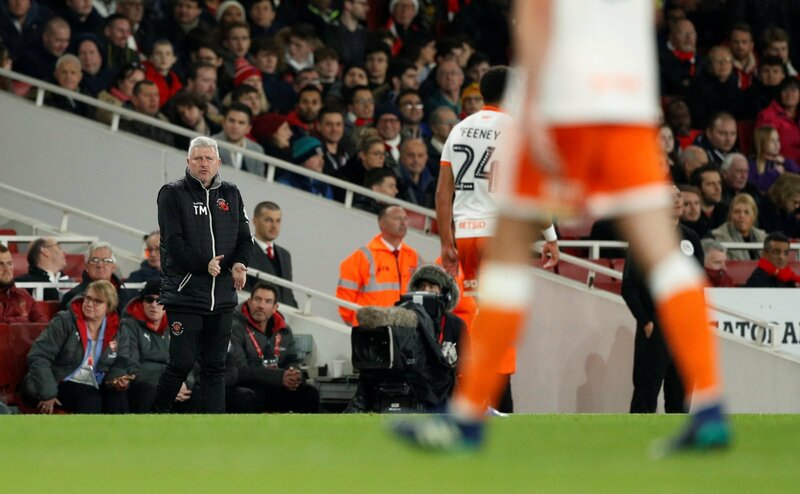 Blackpool manager Terry McPhillips has held ‘positive talks’ with the owners of the club about the direction they’ll be taking next season, as reported by the Blackpool Gazette. The new board took over from Owen Oyston almost a month ago and are currently in the middle of sorting the club’s future. The stands are filling up once more, fans are pouring back and the manager is keen to get a clear picture of what next season looks like for him and his side. He stepped up after Gary Bowyer left the club and has seen the Seasiders mount a serious promotion challenge, a huge achievement given the off field trauma they’ve faced. McPhillips revealed that there have been talks about how to move the club forward, both in terms of infrastructure and playing staff. “We’ve had a couple of meetings. The board are very busy but I must say they have been very good,” said the 50-year-old. He also told of the need to assess the playing squad, understanding who would be leaving the club and the areas they needed to strengthen. This is McPhillips first role as a manager himself after serving time as a coach at Crewe and working under Bowyer at Blackburn Rovers and later Blackpool. They’re currently ninth in the League One table, four points adrift of Doncaster in sixth. Blackpool can finally look ahead to the future, so whilst this might seem like standard stuff for most clubs, it’s massive for the fans. They can see a clear pathway forward, they can grow and develop like other teams, rather than feel stunted and held back.